Roughly speaking, since 2011 national rents have gone up from $1480 to $1553, an increase of 5 percent. 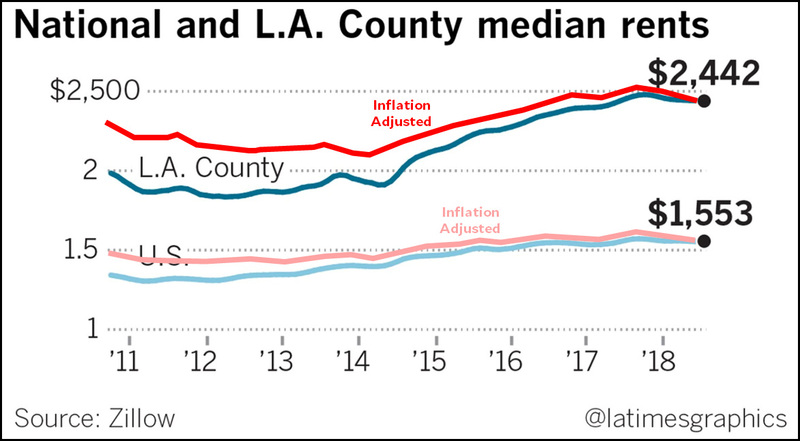 In LA County, rents have gone up from $2,300 to $2,442, an increase of 6 percent. National rents have been flat since about 2015. LA rents have been flat from about 2017. You may draw your own conclusions from this data.